Just because it comes from the dirt doesn’t mean it needs to look like it. What’s the secret to clean looking tile? It starts with spotless grout. Grout is a porous material that absorbs dirt and spills making it especially susceptible to stains. We specialize in eliminating those stains and smudges so your hard surfaces throughout the house look and feel great. Grout is a porous material that absorbs dirt and spills making it extremely susceptible to stains. 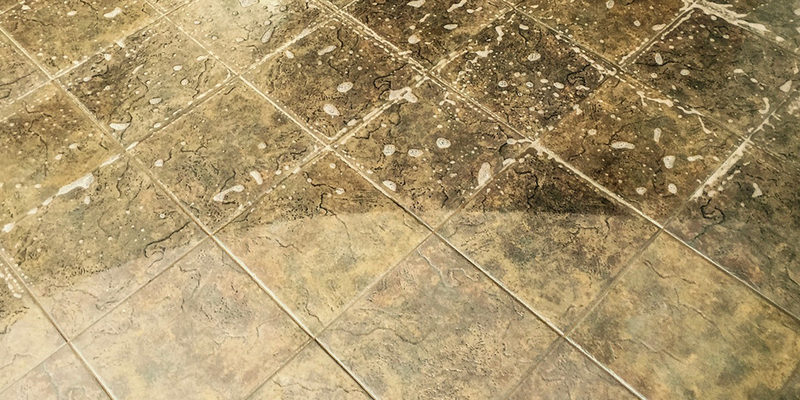 We start with an assessment of your grout and tile to see what steps we need to take to bring back that clean appearance across all your ceramic or stone surfaces. Next we’ll employ our state-of-the-art grout cleaning service to deep clean in-between the tiles—removing troublesome spots and dis-coloration. We utilize our four decades of cleaning experience to meet all your cleaning needs. Your grout deserves the same attention and care as your carpets, upholstery, and drapes. If you have questions please feel free to contact us and we’ll be happy to answer your questions.